Browse properties in a modern, stylish user interface. 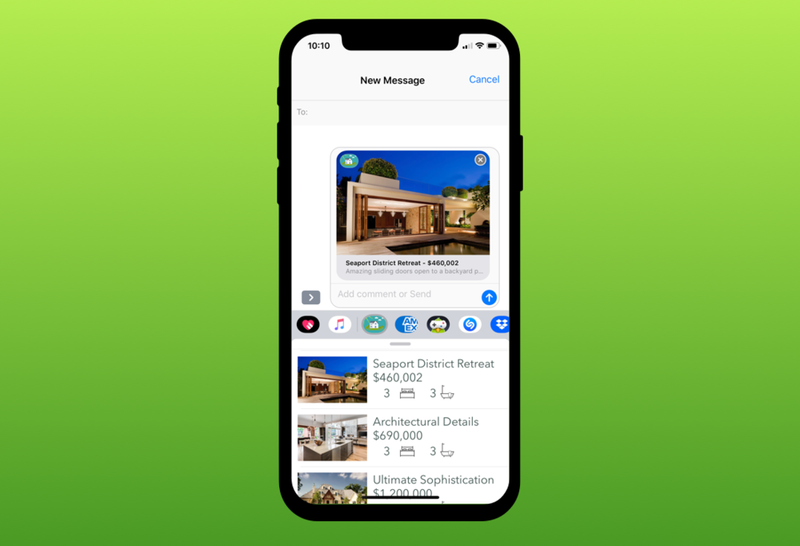 Share a property with a friend through iMessages. Receive property notifications right on your Apple Watch. Dreamhouse is a reference application for the Salesforce Platform. It revolves around a fictitious realty company called Dreamhouse. I was asked to create an omni-channel app experience for Apple devices. The app provides a native iOS application written in Swift, an iMessages app, and an Apple Watch companion app for customers to interact with properties and brokers. The app is open source and is available on Github.